Emily Paull is a writer of short fiction and historical fiction from Perth. 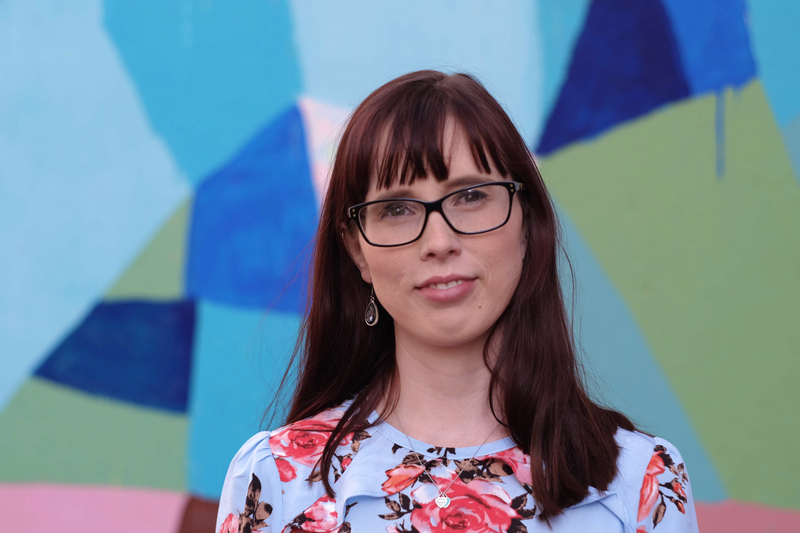 As one of Perth’s emerging talents, her writing has been published in [Re]Sisters, Shibboleth and Other Stories, Joiner Bay and Other Stories, and Westerly Magazine. We talked with Emily about her writing form, being published in two Margaret River Press anthologies, writer’s block, and other talents emerging out of Perth. What is your relationship to the short form? Was it the first form of writing you experimented with? To be honest, I am not sure whether I thought about form too much when I first started writing. I always just wrote, and the piece would dictate the length of the end product. It’s the same way even now. Some ideas are short stories, others take more words to say what I want them to say. I wrote short stories for school, but my dream was always to write novels. I remember being given some advice by another writer who told me that I should start sending stories to magazines and journals, to get my name out there a bit, and while I never really viewed short stories as a stepping stone to novels, I never seriously considered becoming a writer of short stories. I definitely thought short stories would be the easier form though, and I was definitely wrong. But I love them; I love writing them and I love reading them, and I really appreciate the hard work that goes in to making them work. 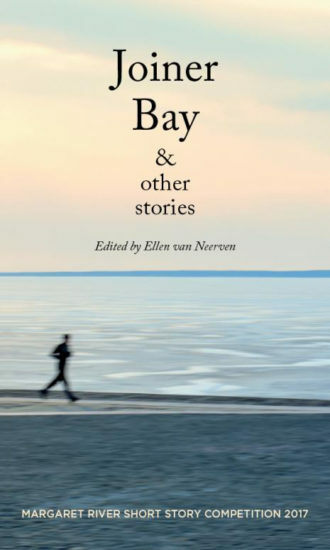 You have two short stories published in the Margaret River Short Story anthologies: “The Sea Also Waits” in Shibboleth and Other Stories (2016) and “Ms Lovegrove” in Joiner Bay and Other Stories (2017). Can you walk us through the process of writing those two stories, and what it meant to you to have your stories included in such a collection? I remember vividly the day that I wrote both of those stories. Some stories, when you write them, feels like channelling, like you’re just the conduit and the stories come through you. For “The Sea Also Waits”, I was standing in the bookshop where I worked, reading an article about a real life free diver who had gone missing—I think it was in the New York Times—and the first line of the piece just came to me. That day I went home and I wrote the first draft, and it changed very little from there, to be honest, which felt like a complete fluke. “Ms Lovegrove” took slightly more coaxing, I think I actually wrote it a year or so before the other one. Having those pieces selected for the Margaret River anthologies felt like arriving. It was the moment that I could say I was going to be a published author. How has your writing evolved from when you first started writing? Is there something about your writing you are still learning about? I hope it’s evolved! There’s something a bit special about reading over your own work from way back and being able to say “Oh yes, I have improved since then.” I recall days when I felt so disheartened by certain pieces getting rejected or not winning prizes because I thought they were the best pieces I was ever going to write. At the moment, I’m focussing on those little victories. I think I’ll always be learning to handle rejection, but I’m getting better at it. Do you believe in ‘writer’s block’? How do you usually work through it? Yes, I do. It’s a process that usually involves me being in a very bad mood… I guess I read my way through it. The last time I’d been going through a creative slump, I just allowed myself the time to read whatever it was that was interesting to me at the time, refill the well so to speak. I was actually watching The Light Between Oceans when I finally felt like writing again, but that was the worst writing slump I’d had in a while. Routine helps too. Sometimes if you make yourself write for a short period of time every day (or six days a week, like I’m trying to at the moment), you can trick yourself out of being blocked. You’re currently pursuing a Masters in Information Science to become a librarian; can you tell us any ‘tricks of the trade’ that we wouldn’t know about? I’m only one semester in so I doubt that I know many tricks yet… But I think a lot of people don’t realise how much is actually going on at their local library these days. It’s a lot more than just books. Your short fiction has been published in a number of publications. How do you handle rejections, and how do you celebrate when a piece of work has been accepted? I usually handle rejection by crying about it. A lot, and loudly. (As I said before, getting better at that though). I celebrate by phoning my Mum. Are there any emerging writers from Perth we should keep an eye on? I run the monthly Write Nights program at the Centre for Stories with Belinda Hermawan, who writes some of the best short fiction I’ve read in a long time. Her voice is so different to the standard ‘Australian’ style—she’s funny and smart, and doesn’t get bogged down in these big depressing themes. She also writes with a lot of insight into the experience of being caught between cultures. I’m also really excited to see that some of our other Write Nights regulars are starting to shop their work around the place, though I haven’t read much of it—keep an eye out in particular for Chris Karsten and Raihanaty A. Jalil. Can you tell us a little bit about your first short story collection you’re currently working on? It’s called Well-Behaved Women and so far I have about eighteen stories that I’d like to include, which have all been written over the last decade or so. Most of them explore the female experience, whether that be of body image, love and heartbreak, ageing, etc. There are also a few from a male point of view which examine those characters’ relationships with important women in their life. I’m hoping to be able to share it with the world in the next few years. Emily Paull is also an editor and book reviewer. In 2014 she was a Young Writer in Residence at the Katharine Susannah Prichard Writers Centre and in 2015 her work was shortlisted for the John Marsden/ Hachette Australia award for young writers. Emily will be on the panel, “Why Do You Write?”, at the Festival. Find out more info here!